I am generally interested in functional ecology and its relevance for interspecific interactions with a focus on sensory ecology, roosting ecology, and tropical biology. For my research I am applying a broad variety of methodological approaches such as bioacoustics, population genetics, and stable isotope analyses. Furthermore, I am trying to improve processes to communicate and share scientific knowledge with the public. A selection of my research interests can be found below. In recent years skepticism against scientific findings has been raised by broad parts of society. Academia has been called to raise awareness to this trend and to leave its ivory tower where science is only shared among experts. One solution to this problem is "Citizen Science" that invites interested citizens to participate in the process of gaining new scientific knowledge. However, in many projects Citizen Scientists were only involved in data collection but had no chance in participating the whole scientific process, i.e. observation, raising questions, building hypothesis and trying to answer the questions on basis of collected data. With our project "F.U.N." we are trying to close that gap. This project aims at various groups of age and societies. Thus, we are also collaborating with schools that are interested in testing teaching concepts that focus on the scientific practice. Mutualistic interactions are major drivers of evolution. However, how they evolve and which mechanisms stabilise them is largely unknown. Using the interaction between the foliage-roosting bat species Kerivoula hardwickii and their mutualistic plant partner Nepenthes hemsleyana as a model system, I am testing different hypothesis regarding functional traits of both partners that stabilise their interaction. During my PhD (submitted) I focused on morphological, communicational and behavioural traits. The mutualism is asymmetric: The pitcher plants strongly rely on the bats, whose faeces are the most important nutrient source for the plants. This coprophagous nutrient acquisition strategy seems to be so efficient that the plants gave up important traits of arthropod attraction and outsourced capturing and pre-digestion of prey to their bat partners. The bats, in contrast, are less depending on N. hemsleyana as they additionally roost in other pitcher plant species and in developing furled leaves of different plant species. Together with my international collaborators I found that this asymmetric dependency is reflected in the specifity and function of the traits that stabilize the mutualism in each of the two involved species. Especially on the morphological level, N. hemsleyana seems to have evolved several traits that perfectly fit to K. hardwickii (i.e. a pitcher shape and fluid level that perfectly fits to the solitary roosting bats and an echoreflecting structures that is highly effective in attracting the echolocating bats resulting in high-quality roosts). In contrast, the bats’ traits more generally facilitate their roosting in funnel-shaped plant structures and their occurrence in cluttered habitats (i.e. broadband echolocation calls with extraordinary high starting frequencies and morphological traits that facilitate in slippery plant structures).Thus, they are probably exaptations (i.e. traits that evolved for another reason) that are nevertheless functional and stabilise the mutualism with N. hemsleyana. This plant‘s superior roost quality is likely a consequence of the competition with alternative roosting plants and helps N. hemsleyana that the bats prefer it. Moreover, my study confirms earlier findings that asymmetric dependencies support the stabilisation of mutualistic interactions. Finally, my work indicates that the specifity of functional traits can be used as a measure to determine mutual dependencies of mutualistic partners. In a future project I will transfer my predictions to the interaction between ants (Camponotus spp.) and the rattan palm Korthalsia robusta. Acoustic communication and reactions to acoustic cues are widespread and intensively studied in animals but have largely been neglected in other organisms such as plants. However, there is growing evidence for acoustic communication in plant-animal interactions. While knowledge about active acoustic signaling in plants (i.e. active sound production) is still in its infancy, research on passive acoustic signaling (i.e. reflection of animal sounds) revealed that bat-dependent plants have adapted to the bats’ echolocation systems by providing acoustic reflectors, which attract mutualistic animal partners. Studies also show that plants are able to perceive sound and thus, potentially can react to animals (e.g., physiologically). Moreover, in the course of evolution plants should become acoustically more attractive to mutualistic animals that find their plant partners based on sound and less conspicuous to parasites. The current challenge is to discover further examples of plants and animals that acoustically interact with each other. To do so, we investigate 1) the acoustic interactions between bats (Kerivoula hardwickii) and carnivorous pitcher plants (Nepenthes hemsleyana, Nepenthes bicalcarata) and 2) the acoustic/vibrational interactions between ants (Campponouts spp.) and rattan palms (Korthalsia robusta). Understanding the underlying proximate mechanisms and ultimate causes of acoustic communication will shed light on an underestimated dimension of information transfer between plants and animals. Many bat species regularly need to find new day roosts that, e.g., offer protection from predators and adverse climatic conditions.It has been shown that bats exchange information about roosts among colony members, and use echolocation and social calls of conspecifics in order to find roosts. However, how bats initially find new roosts and the role of inter- and intraspecific communication (including eavesdropping) still presents a puzzle. Investigating the sensory traits of various bat species that use different roosts (e.g., tree holes, bat boxes, furled leaves, carnivorous pitcher plants) in different regions (Germany, Borneo, Costa Rica) and using playback experiments my collaborators and I try to shed light on that field of bat ecology. Schöner, M.G. & Schöner, C.R. (2018): Acoustic interactions between plants and animals. The Journal of the Acoustical Society of America 143: 1795-1795. Schöner, M.G., Schöner, C.R., Ermisch, R., Puechmaille, S.J., Grafe, T.U., Tan, M.C. & Kerth, G. (2017): Stabilization of a bat-pitcher plant mutualism. Scientific Reports 7: 13170. Yilamujiang, A., Zhu, A., Ligabue-Braun, R., Bartram, S., Witte, C.-P., Hedrich, R., Hasabe, M., Schöner, C.R., Schöner, M.G., Kerth, G., Carlini & C.R., Mithöfer, A. (2017): Coprophagous features in carnivorous Nepenthes plants: a task for ureases. Scientific Reports 7: 11647. Schöner, M.G., Schöner, C.R., Kerth, G., Suhaini, S.N. & Grafe, T.U. (2017): Handle with care: Enlarged pads improve the ability of Hardwicke’s woolly bat, Kerivoula hardwickii (Chiroptera: Vespertilionidae), to roost in a carnivorous pitcher plant. Biological Journal of the Linnean Society 122: 643-650. Schöner, M.G. (2017): Stabilization of a bat-pitcher plant mutualism (Dissertation). Greifswald: Universitätsbibliothek Greifswald. Schöner, C.R., Schöner, M.G., Grafe, T.U., Clarke, C.M., Dombrowski, L., Tan, M.C. & Kerth, G. (2017): Ecological outsourcing: a pitcher plant benefits from transferring pre-digestion of prey to a bat mutualist. Journal of Ecology 105: 400-411. Schöner, M.G., Schöner, C.R., Kerth, G., Ji, L.L. & Grafe, T.U. (2016): Bats attend to plant structures to identify roosting sites. Acta Chiropterologica 18: 433-440. Schöner, M.G., Simon, R. & Schöner, C.R. (2016): Acoustic communication in plant - animal interactions. Current Opinion in Plant Biology 32: 88-95. Struebig, M.J., Huang, J.C.-C.H., Mohamed, N.Z., Noerfahmy, S., Schöner, C.R., Schöner, M.G. & Francis, C.M. (2016): Forest surveys extend the range of the Krau woolly bat (Kerivoula krauensis) in the Malay-Thai Peninsula, Borneo and Sumatra. Mammalia online early. Lim, Y. S., C. R. Schöner, M. G. Schöner, G. Kerth, D. G. Thornham, M. Scharmann & T. U. Grafe (2015): How a pitcher plant facilitates roosting of mutualistic woolly bats. Evolutionary Ecology Research 16: 581–591. 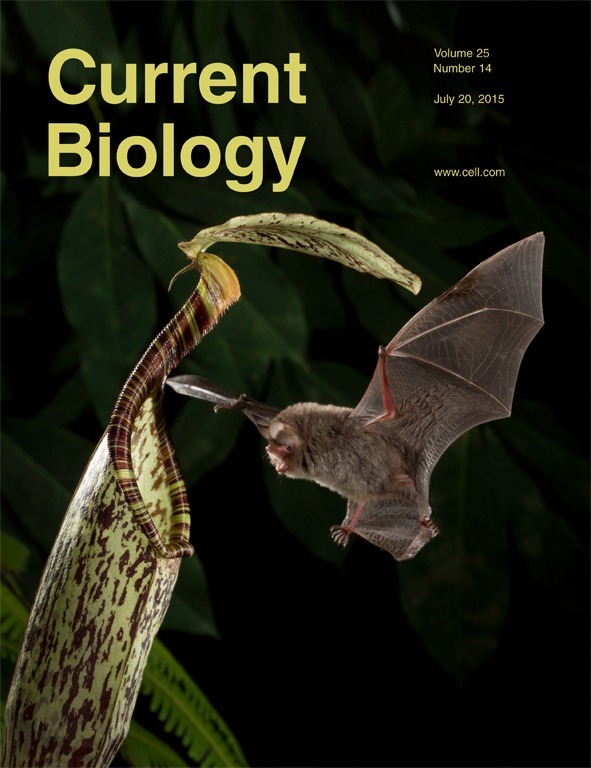 Schöner, M. G., C. R. Schöner, R. Simon, T. U. Grafe, S. J. Puechmaille, L. L. Ji & G. Kerth (2015): Bats are acoustically attracted to mutualistic carnivorous plants. Current Biology 25: 1-6. Schöner, C. R., M. G. Schöner, G. Kerth, S. N. Suhaini & T. U. Grafe (2015): Low costs reinforce the mutualism between bats and pitcher plants. Zoologischer Anzeiger - A Journal of Comparative Zoology 258: 1-5. Schöner, M.G. & Schöner, C.R. (2014): Staufische Herrscher als Minnesänger und ihre Beziehung zur volkssprachlichen Liedkunst. Mit einer Neuedition der Lieder Konradins. Vorwort von Sieglinde Hartmann (= Göppinger Arbeiten zur Germanistik 772). Göppingen: Kümmerle. Schöner, C. R., M. G. Schöner, G. Kerth & T. U. Grafe (2013): Supply determines demand: Influence of partner quality and quantity on the interactions between bats and pitcher plants. Oecologia 173: 191-202x. Schöner, C. R. & M. G. Schöner (2013): Batty and Pitty. Children’s story. Illustrated by Claudia Spitzkopf and Robin Schöfer. Free download: www.seabcru.org/outreach/brunei-outreach-materials. Schöner, M. G. & C. R. Schöner (2013): Symbiotischer Untermieter gesucht. Hardwicke-Wollfledermäuse schlafen in fleischfressenden Pflanzen. Hundkatzepferd. Das Fachmagazin für den Tierarzt. 6: 2-4. Schöner, M. G. & C. R. Schöner (2012): Fledermausporträt: Hardwicke-Wollfledermaus, Kerivoula hardwickii (Horsefield, 1824). Nyctalus (N.F.) 17: 400-404. Schöner, C. R. & M. G. Schöner (2012): Living inside a deadly trap. Woolly bats use carnivorous pitcher plants as roosts. Bats 30 (3): 2-3. Grafe, T. U., C. R. Schöner, A. Junaidi, G. Kerth & M. G. Schöner (2011): A novel resource-service mutualism between bats and pitcher plants. Biology Letters 7: 436-439. Schöner, C. R., M. G. Schöner & G. Kerth (2010): Similar is not the same: Social calls of conspecifics are more effective in attracting wild bats to day roosts than those of other bat species. Behavioral Ecology and Sociobiology 46: 2053-2063. "Interactions between bats and pitcher plants" - 21st Graduate Meeting of the Sections Evolutionary Biology and Ecology of the German Zoological Society, Greifswald (2016). since 09/2017 PostDoc fellowship at the Smithsonian Tropical Research Institute Panama "Sensory and behavioral ecology of roosting behavior in Neotropical bats"
AG "Bildung und Citicen Science"